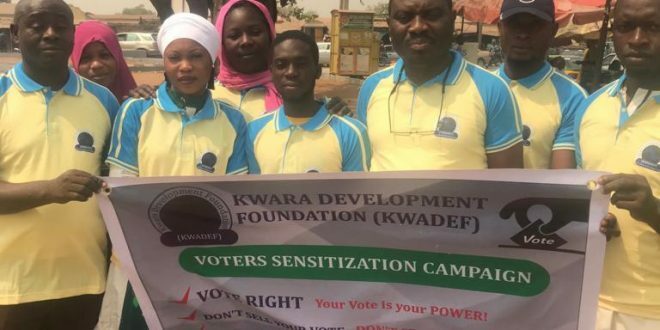 As the 2019 elections enter a crucial bend, the Kwara Development Foundation, Kwadef has advised voters to take advantage of the poll to exercise their constitutional right to elect their leaders of choice through the ballot box. 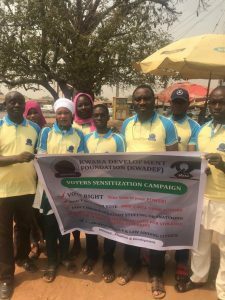 Kwadef, a non- government organization which embarked on voters’ sensitization program in Ilorin, the Kwara State capital on Saturday, enjoined the prospective voters to eschew violence and not to allow themselves to be used negatively by politicians during the poll. The voters who expressed their readiness for the poll, advised the group to intensify the enlightenment program and order to “open the eyes of the people’. 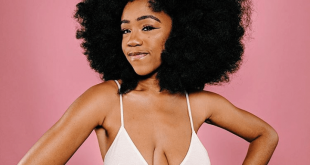 In a post-event press conference, Dr. Kolawole Afolabi, the president of the group explained that the group remains a non-partisan group with non-partisan interest. He added that as the nation moves to perform the next election ritual, the group has decided to step forward and work towards enacting a focused development paradigm for mobilising the collective strength of the people Kwara to achieve sustainable socio- economic growth. 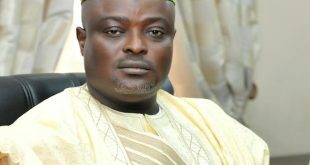 According to him, Kwadef is seeking a non-partisan roadmap to restore deliberate thinking, planning and acting together to restore the glory of Kwara state. He maintained that the exercise was the beginning of a series of intervention programs that will spread over a long period of time.